Having friends or family over to stay can either be a stressful experience or positive, memorable one. We’re entering that time of year when family tend to start booking their reservations to stay at your home and why not give them the luxury hotel experience? Here are some tips to help create a stunning guest room. Storing as many of your books in your spare room as you can is not only a great way to give a really comforting space to your guests but it also frees up a lot of storage space around the rest of the house. A variety of books, some tasteful lamps and a comfortable reading chair to curl up in lets your guest know they have their own space where they can escape to guilt-free to just enjoy themselves with a good read. We all have our own preferences when it comes to pillows. Some like flat ones, some like them hard, others big and soft. Keep a selection in your wardrobe or ottoman so your guest can select the perfect combination for a peaceful slumber. Crisp white sheets are ideal for guest beds as they are relatively inexpensive and so inviting. Splash the cash you save on Egyptian cotton duvet covers and some luxury duvets in a variety of togs to suit all weathers. You’ve got the bedding and the pillows sorted but they’ll be worthless without a quality bed to sleep in. There’s nothing worse that asking your guest if they’ve slept well and seeing their weary face attempt a well-rested look as they say “yeah, it was good thanks” which we all know is international code for “it felt like I slept on the floor”. A classy, wooden bed like these at Bedstar topped with a deep, comfortable mattress will make a world of difference and turn those torpid expressions into bouncy exclamations of what a wonderful night they had and how it was better than being at home. An underrated and often forgotten piece of furniture in a guest room is the humble nightstand. Give your guests a handy, reachable place to place their glass of water, knickknacks, spectacles, mobiles and watches. 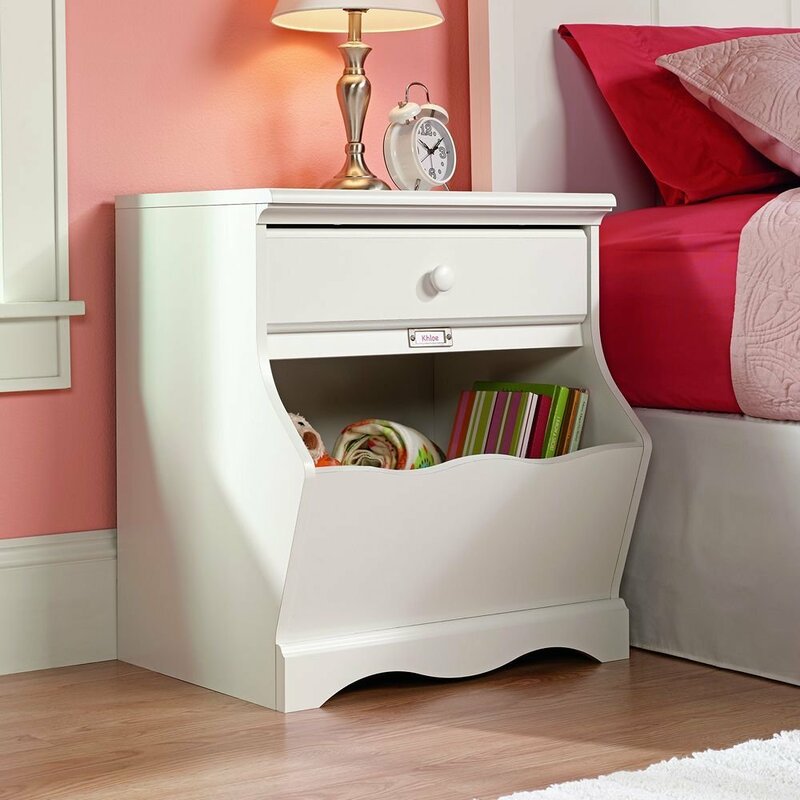 A nightstand with a small cupboard for placing nightwear and a recess for books are the perfect choice for a guest room. Don’t forget a lamp! No guest wants to get out of bed to turn the light out, especially if they are elderly. One of the least luxurious things about staying in someone else’s house is the feeling of living out of your suitcase and having to bend down and rummage through your belongings. Save your guests the trouble with a folding luggage stand. It’s a thoughtful touch they’ll really appreciate and saves you having to buy more storage and cramping the room. A vase of fresh flowers picked up cheaply from the local supermarket is a welcoming sight and can really bring your guest room together. It shows your guest that you appreciate them and are delighted to have them stay with you. A tasteful laundry basket will help your guests keep their suitcase in order and not have the embarrassment of accidentally leaving used underwear or show or shoving their worn clothes into a random plastic bag. Fluffy dressing gowns are a hit with house guests. They wash easily and are an opulent addition to what will already be a superb guest experience. We often forget things when we travel so why not keep a small basket of toiletries in the guest room like mini toothpaste, an extra toothbrush and some travel sized bottles of shampoo and conditioner so they can take a shower in peace without agonising over whether they should use your shampoo or not.